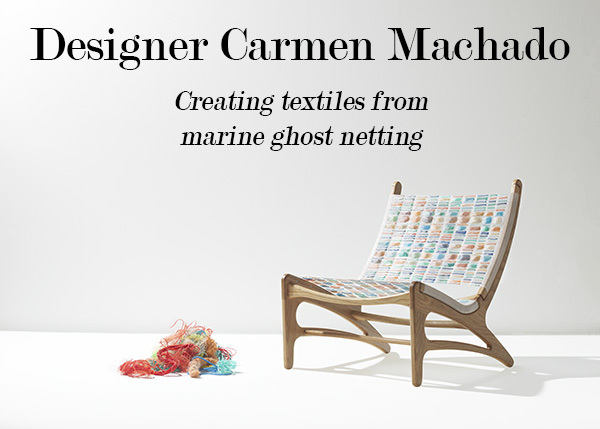 When I learned of the work of textile designer Carmen Machado, I was immediately drawn to the unique textures and bright colors in her furniture designs. 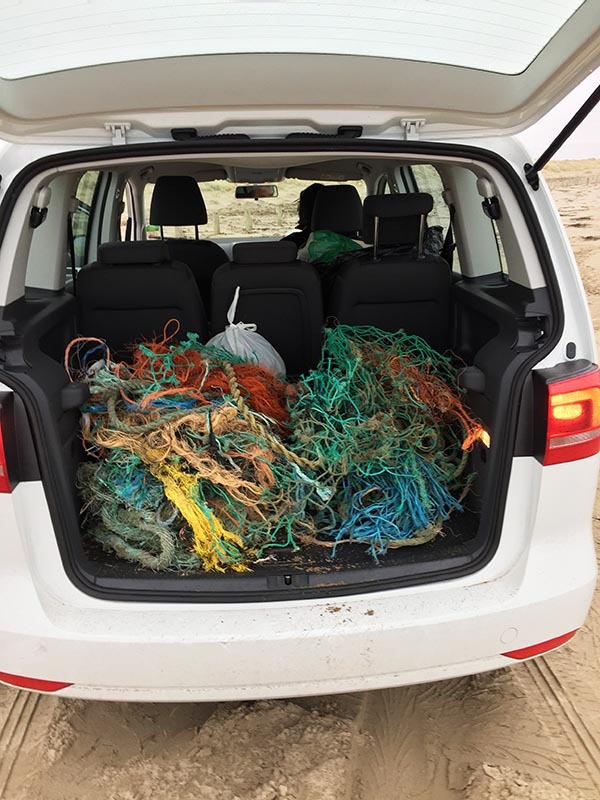 I was even more impressed to learn that Carmen’s work is improving our beaches and waterways by retrieving and utilizing abandoned marine netting. Carmen Machado’s environmental efforts and contemporary outdoor furniture designs absolutely deserve the spotlight. Continue on to read our recent chat! Jacquin: Did you enter into art school knowing that you wanted to focus on textiles? How did this interest come about? Carmen: Yes, growing up I was always interested in textiles. My father had a carpet store where he imported all types of beautiful carpets from around the world. I took my first weaving class while pursuing my Bachelors in Fine Arts at The School of the Art Institute of Chicago, and this is where I decided to focus on learning to weave experimentally and on different types of looms. 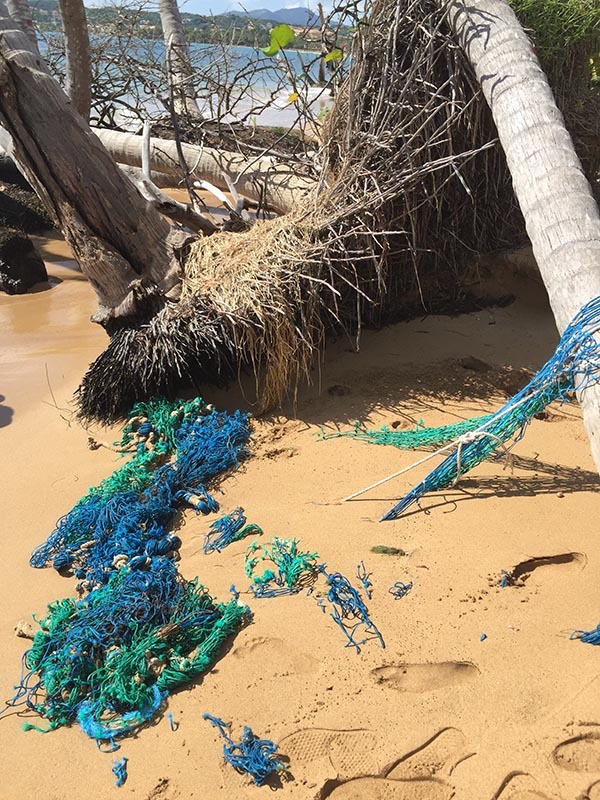 Jacquin: Many readers may not be familiar with the impact of abandoned fishing nets in the oceans. It’s actually a very serious environmental issue. How did you become aware of this issue? What made you decide to address this issue through textiles and design? Carmen: I grew up on the coast in Puerto Rico and would regularly find stranded pieces of tangled fishing line and rope washing up on the shore near my home. In 2011, I started picking up and collecting things I found, mostly out of curiosity and interest in the sun bleached and vivid colours the netting came in. This led to me researching into overfishing and reading about how large of an environmental issue this is and the deadly effects it has on marine life. I decided to pursue my interest more seriously, combining my love for weaving with this environmental issue. I am currently pursuing a Masters on this topic at the Chelsea College of Art and Design in London. Jacquin: What came first? The general idea to use recycled fishing net and recycled materials -or- your idea for the specific furniture design used in your stunning chairs? 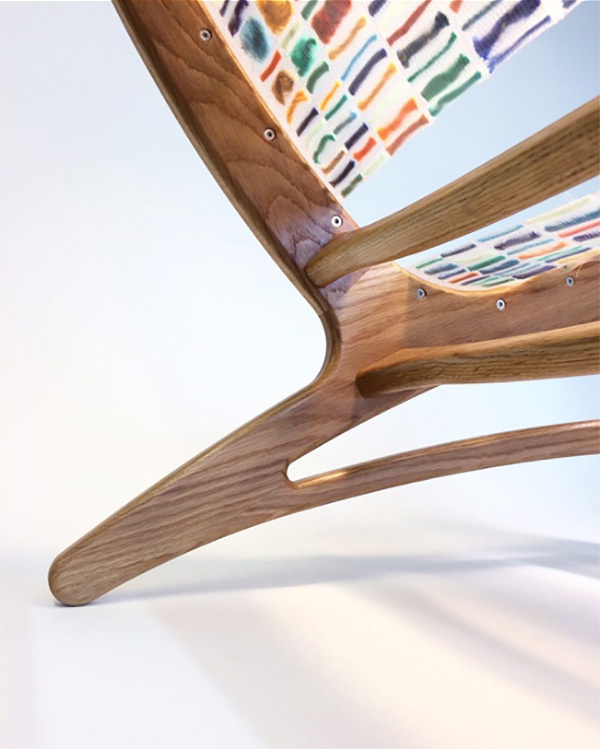 Also, tell us about the concept for your recent chair designs? Carmen: Once I refined my textile designs to incorporate found ghost netting I began thinking about ways to use the final woven material. As it is 100% plastic I naturally thought it would be well suited to be used outdoors. I wanted to make a sustainable product and like the concept of taking the materials from being outside on the beach, then repurposing them into something a person will again value and put it back outside. I have a big interest in interior design and furniture, particularly Danish design. Jacquin: How do you go about continuing to source and retrieve dangerous, abandoned netting from the ocean? Carmen: I regularly visit the coasts here in England and Wales. My family also actively beach cleans in Puerto Rico. I have quite a few beaches that I revisit often because I know I will sadly always find tons of washed up gear on them. 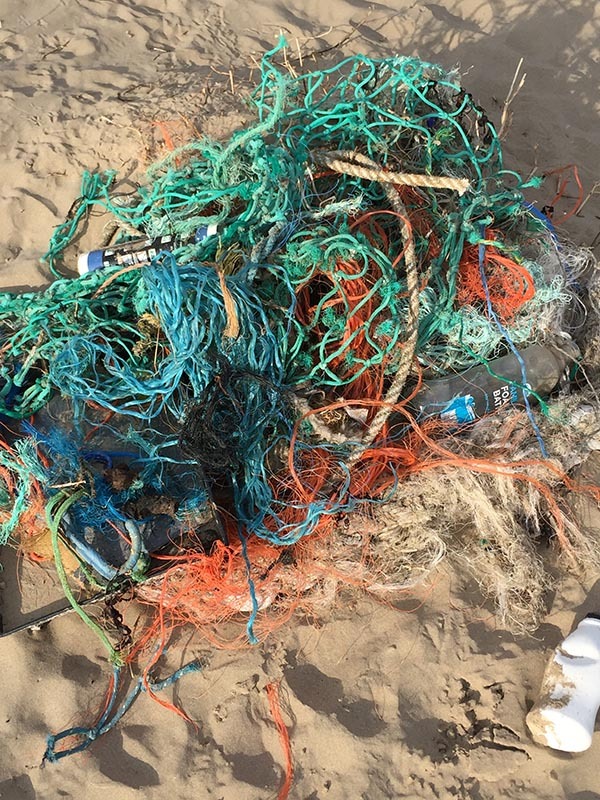 Jacquin: What would be a dream project for you involving both textiles and recycled fishing net (or other recycled materials)? 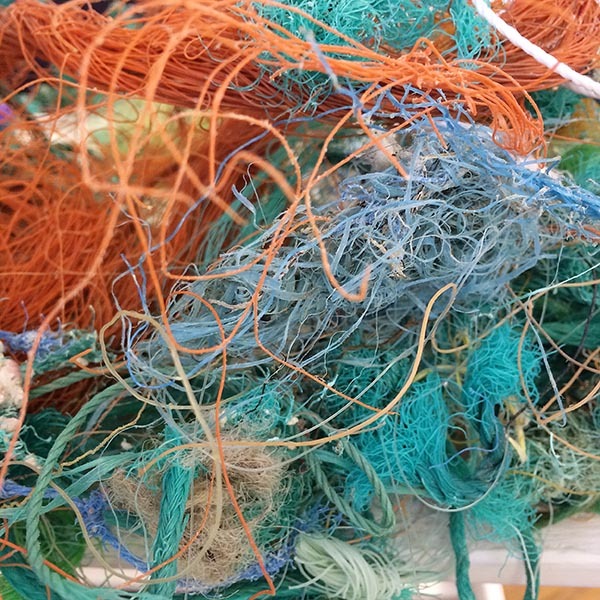 Carmen: Long term I want to scale up the amount of fishing line/netting that I am retrieving off of our coasts and the amount of fabric I am able to produce. Another dream project would involve designing fabric/furniture for the interiors of an eco resort. I would like to get involved with more Marine Conservation groups and see if I can incorporate my work into their offices. Jacquin: Have you been able to find a community of like designers interested in working with recycled materials? How can readers help your cause and support healthier wildlife and waterways? 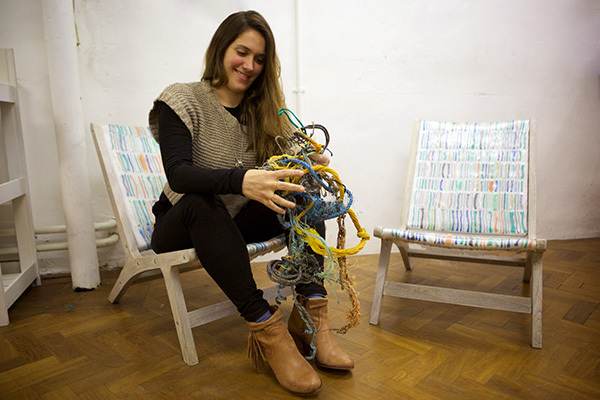 Carmen: Yes, I have found a wonderful group of people through Instagram- @2MinuteBeachClean, they are big advocates for doing regular beach cleanups and are always showcasing the work of designers who work with marine waste materials. I have made a few connections through this group who send me parcels with their finds! As for what people can do to support healthier waterways… Apart from every individual doing their own part to clean up our coast lines, I recommend cutting single use plastics out of your life as much as you can. It makes a huge difference! 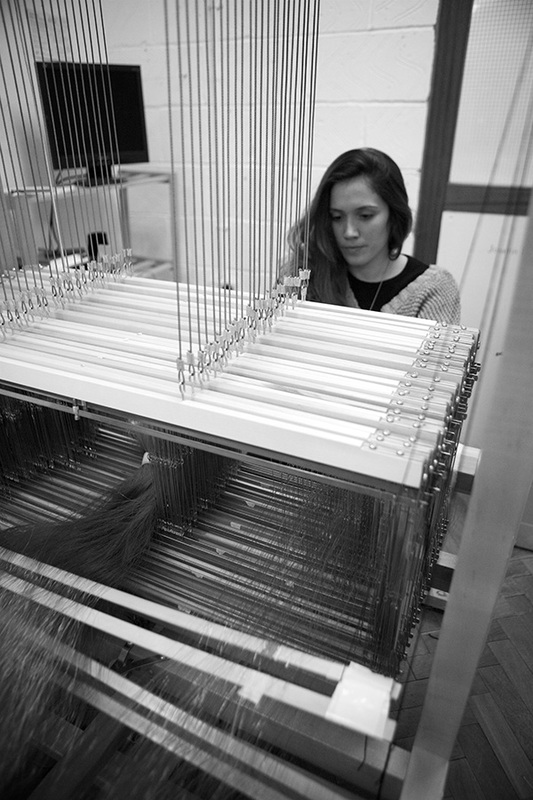 Visit CarmenvMachada.com for the latest information on her textiles and furniture designs.